The Fort Smith Regional Chamber of Commerce Business & Career Expo is an opportunity for our members and non-members to showcase their business, products, services and employment opportunities to the community. Institutions, organizations, and companies participating in our Expo can promote and support growth within their industry, network with like-minded contributors, fill open positions and engage with the workforce of the future. Our annual high-energy, high traffic event attracts 600-800 attendees and 80-100 exhibitors in a dynamic business-to-business atmosphere. We kick-off the day at 7:30 a.m. with a prominent and successful business speaker at our First Friday Breakfast which draws approximately 500 attendees. 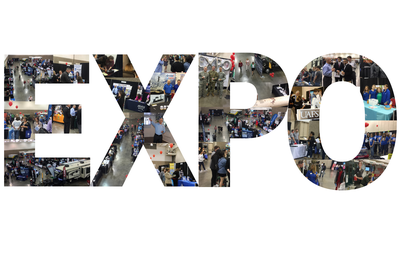 The Expo floor opens at the conclusion of breakfast, which is at approximately 9:00 a.m. Exhibitors from around the Greater Fort Smith region and the state will represent their businesses and career opportunities. The 188th Flight Simulator, the Army and Department of Workforce Services will be featured with their mobile units. Join our list of Exhibitors! To register for the Expo please call or email for the Registration Form.